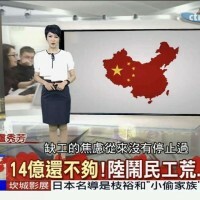 TAIPEI (Taiwan News) – In China’s Zhenjiang (鎮江) City of Jiangsu (江蘇) Province, a veterans protest broke out over the past weekend, with news reaching international media Monday morning, June 25. According to reports, between 2,000 and 3,000 veterans were surrounded by police in the city on June 23, and many have reportedly been injured in clashes with state security forces. 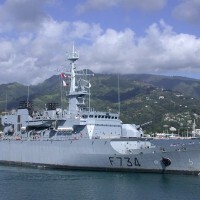 Liberty Times reports that videos and text messages were still being reported from the area on the evening of June 24, however since June 25, telecommunications in the area have been completely silenced. 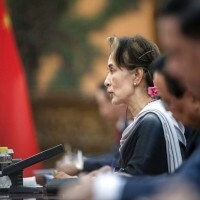 A report from Radio Free Asia claims that on the afternoon of June 23, around 3:30 p.m. a protesting crowd of nearly 3,000 veterans and other protestors were swarmed by approximately 9,000 policemen, with between 200 and 300 injured in the clashes. Unconfirmed reports suggest that three veterans have been killed and as many as 15 beaten seriously, and now in critical condition. Reports paint a picture of various veteran contingents staying in hotels or other buildings throughout the city, being either barricaded inside or risking confrontations with the police and military by venturing out into the streets. 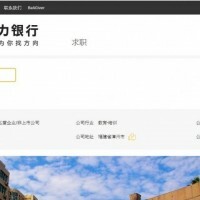 It has been reported that at approximately 9:00 p.m. June 25, the Chinese government carried out an operation to clear the city of nearly 2,000 protestors that were on the streets of Zhejiang last evening. The current protests reportedly began last week when a veteran petitioning for his benefits was beaten by gangsters hired by Zhenjiang city officials. 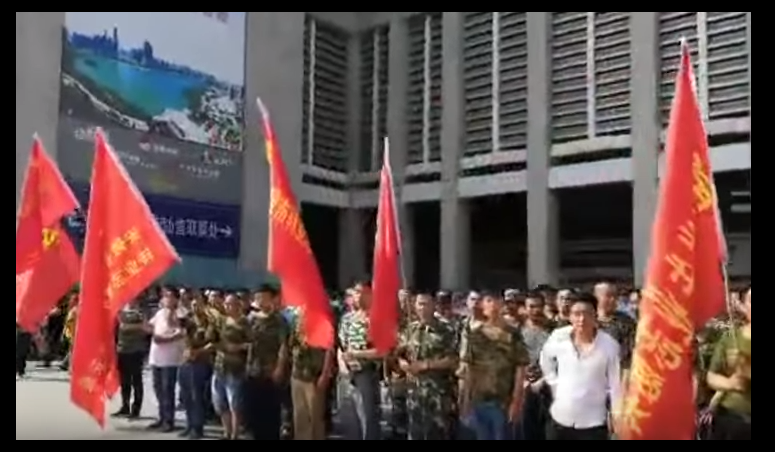 The Zhenjiang area veterans, who have a history of conflict with security forces, responded en masse with hundreds protesting outside the Zhenjiang city offices on June 19. Over the next few days thousands of veterans joined from neighboring cities and provinces, resulting in the crackdown on June 23. However, that did not stop more veterans from entering the city over the weekend. A demonstration of several hundred veterans in the city. 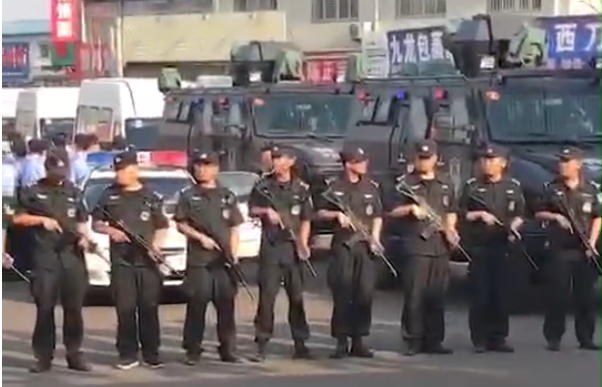 Images of military trucks and tanks have been captured in the area with reports that the government has dispatched between 10,000 and 20,000 PLA security forces to deal with the protesting veterans and keep watch over the city. 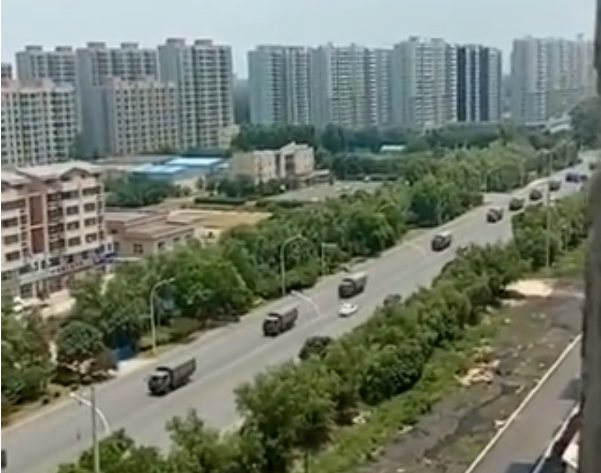 Photographs of military convoys and tanks entering the area were captured on Sunday afternoon and released through media sites based outside of China. 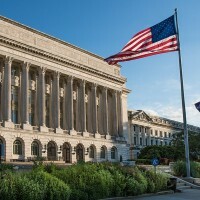 Liberty Times reports that as of the morning of June 25, there is almost no communications or updates coming out of the area. The Chinese government has also reportedly stopped all trains passing through Zhenjiang, and blocked highway access to the city. Veterans being blocked from using highway access to enter Zhenjiang. The security forces are reportedly keeping a close watch on the city amid a very tense atmosphere. A second contingent of 3,000 to 4,000 veterans has reportedly arrived and been corralled near the local train station, and currently unable to reach the city center and the original group confronted by the overwhelming security forces. Reports suggest that veterans groups may still be mobilizing to assist the beleaguered veterans in Zhenjiang. A photograph of a document dated June 24, viewable at Epoch Pioneer, purportedly shows a legal agreement that the government is trying to persuade veterans to sign, in exchange for monetary compensation, and a quiet withdrawal from the city to their homes. Tension between the government and disenfranchised veterans in China appears to be on the rise, with the current protest in Zhenjiang, echoing many similarities of a recent veteran protest in Henan Province that occurred in late May through the first weekend in June. The magnitude of the current situation in Jiangsu appears to be several times greater than the protest in Henan, and likely reflects a worrying trend for the communist authorities in China. A compilation of clips recorded from Zhenjiang, including confrontations, and injured veterans recuperating in a school classroom.